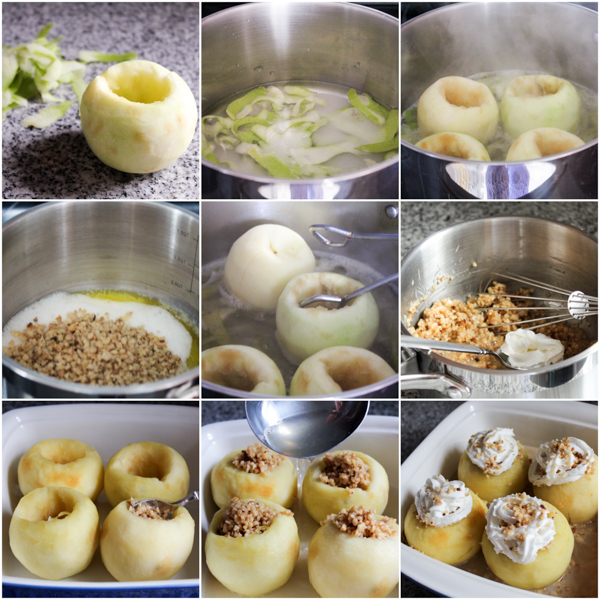 Walnut stuffed apples or tufahije (singular: tufahija) are a quintessential Bosnian dessert recipe. When these no-frills ingredients (walnuts, poached apples, simple syrup and some whipped cream) collaborate you get a very elegant treat. To understand Bosnian, and to an extent Balkan mentality, you have to go down to its most basic format. This – surprisingly enough – is not the family unit, but mahala, or a neighborhood. Except in our case, it’s not just any neighborhood… but a distinct form of neighborhood you can see all around Sarajevo if you ascend from the city’s center up the narrow, squiggly roads. There, the houses for the most part have off-white facades, ranging from the ones yellowed with age and war, to the grey ones that never recovered their pre-war shine. The roofs are crimson red, because, why in the world would you have a roof any other color? Here and there a house succumbed to the ‘evils’ of modern times, and draped itself with a daring pink robe; but it’ll return to off-white eventually, when it regains some sense after leaving puberty. Here, in a Bosnian mahala, each house is multigenerational. You can easily have parents, grandparents, and children (sometimes more than one) with their families living in one. (I can imagine my American-born friends cringe right about now, for this sort of space sharing is the kind of nightmare they’ve only seen in EuroTrip or some other ‘horror’. But I assure you, it’s not as bad as it sounds.) In general, each separate family has a floor for themselves. Each house, then, is really a micro-building. And the space expands and appears as necessary, as if it were a bag from one Harry Potter novel (remember the one Hermione had when they were running away together, Harry, Hermione and Ron? ): seemingly small, but completely appropriate for any situation which may arise. But when people talk about mahala as it relates to Bosnia, it has a nonverbal “everyone knows everything” connotation. In a mahala, there are no secrets. By the time you return home from the produce shop, everyone already knows what kind of musaka you’ll be making for lunch. This type of life is insulting: it spits on privacy, it’s claustrophobic. And at the same time it is warm, it is most human, it is protective like a mother’s womb. One day you may be chasing your neighbor around with an ax for moving the fence too far onto your property. The next day his son might die, and you’re at his house comforting him better than his own would. It’s a cosmos in small, that Bosnian mahala. But you’d like to know about tufahije. So here are some tips. As the name indicates, you’ll be coring apples before you stuff them with a walnut and whipped cream stuffing. It’s pretty easy, but there are a couple of things to remember. One: when coring your apples, what you are basically doing is making a cup out of an apple. You’re making sure to remove the seeds while you core apples, but you’re also making sure you’re not coming through on the other side of the apple. If you make a ‘tunnel’ instead of a ‘cup’ in the apple, your stuffing will seep through. Two: a tool I found great to core apples with is your regular grapefruit spoon. Three: if you’re doing walnut stuffed apples for the first time, have a couple of extra apples in case it doesn’t go well with coring the first time, or you overcook them, something of the sort. Four: make sure your apples are of the sour variety. Although this issue is the one people who make tufahije can never agree on. I’m dead serious… it’s a debate of epic proportions… kind of like people who cheer for Željo versus Sarajevo, women will fight over this for days. I find that sweet apples fall apart during boiling. Others feel just the opposite is true. If you’re going with this recipe think Granny Smith. In the meantime, I’ll keep you wondering what team I cheer for! P.S. For more walnut inspired desserts, check out Mama’s chocolate walnut cake and baklava of course. Wash apples well, then peel them. Cut out the core as if you’re making small cups out of each apple. Make sure to take out all seeds, and try not to drill through to the other side. (Use a grapefruit spoon for easier coring.) Set peel from one apple aside. In a larger pot, pour water, sugar, vanilla extract, lemon juice and apple peel. Bring to boil on high. Stir often, and lower to medium and add apples. Boil apples 5 to 7 minutes on both sides. (Cooking time here will depend on the type of apples you are using, and your stove. Make sure they don’t overcook or they’ll fall apart, or they undercook and stay hard.) Remove off heat. Take apples out of the syrup and transfer to a deeper bowl to cool down for 30 minutes. Keep the syrup. Meanwhile, prep the filling. Cover walnuts with hot milk, and leave them aside for 15 minutes until they incorporate together. Melt butter over medium, add sugar, and stir well. Add to walnuts and stir until completely incorporated. Fill each apple with about 2-3 teaspoons of the filling. Pour syrup over them and leave in the fridge until ready to serve. 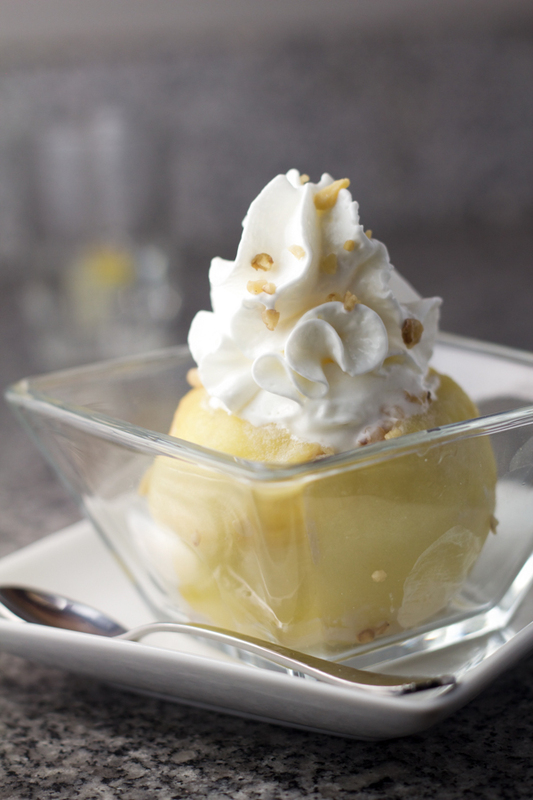 Decorate with walnuts and whipped cream before serving. Opinions on the apples are very divided. We used Granny Smith apples for this recipe. If you use a sweeter kind (like Delicious) make sure to cook them a shorter period. 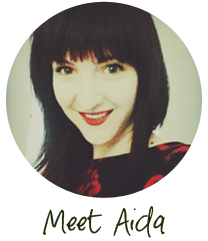 For additional tufahije recipes, visit Tanja’s Cooking Corner, or jump over to Jamie Oliver. 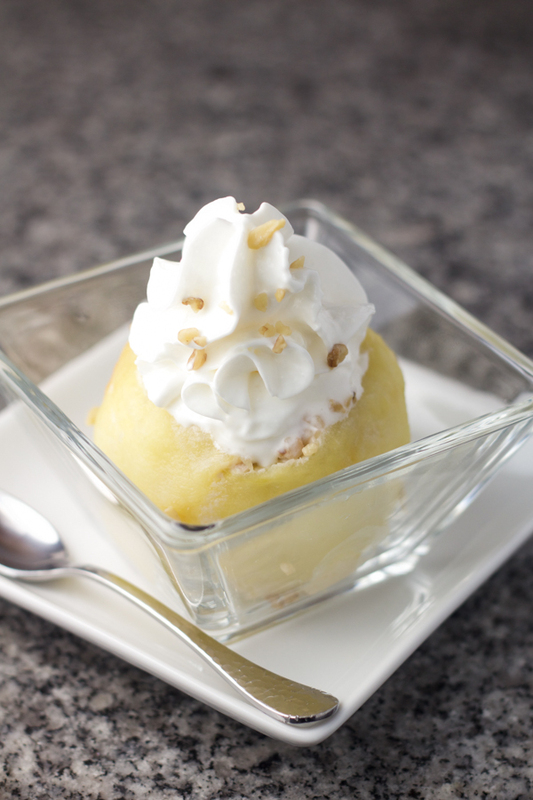 I was so excited when I saw this recipe because it’s one of my husband’s favorite desserts. The first time I made it, I didn’t give the butter-honey mixture enough time to cook off before I added the whipped cream so the filling ended up being really runny. It recovered a bit in the fridge but the next time I made it I let it cool before mixing in the cream and it turned out much better. Thank you Aida for the wonderful recipe!!! Oh no, I completely forgot to mention to wait for it to cool a bit. Thank you so much for reminding me! Fixed now. Glad they turned out better for you and that you figured it out on your own. My biggest gripe in the beginning with tufahije was the whipped cream on top that would melt. I finally solved it by adding whipped cream on top of them right before serving, after they’ve been cooling off in the fridge. 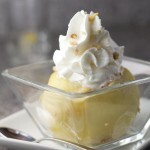 I was so excited when I saw this recipe because it’s one of my husband’s favorite desserts. The first time I made it, I didn’t give the butter-honey mixture enough time to cool off before I added the whipped cream so the filling ended up being really runny. It recovered a bit in the fridge but the next time I made it I let it cool before mixing in the cream and it turned out much better. Thank you Aida for the wonderful recipe!!! E draga, zar nisi mogla staviti europska mjerila, bar u zagradi. Sad moram sve konvertirati!